The Vikings weren't always known for the showiest of helmets, but they frequently wore some of the most effective for their period. This Viking Spangenhelm - Steel recreates one such helmet for the modern-day warrior to wear. 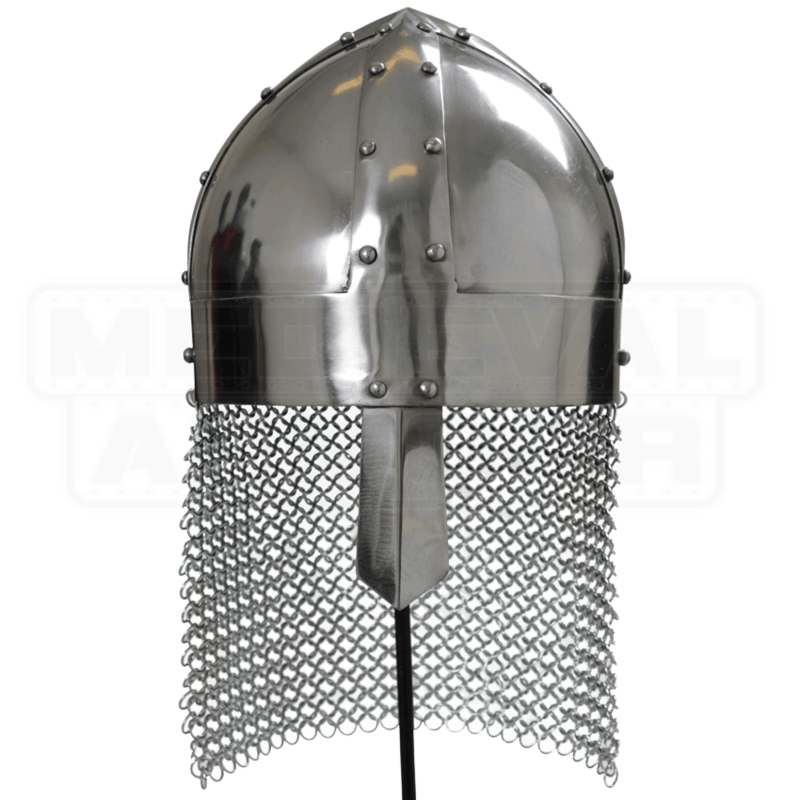 A rounded, conical crown, reinforced with metal strips, helps keep the helm secured in-place. A nasal guard provides added protection to the face, while a short aventail guards the neck. 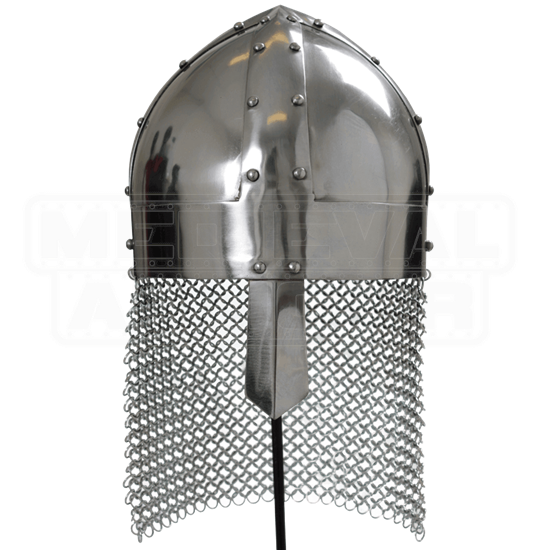 Crafted from 19 gauge mild steel, the helmet features a polished steel finish, rivets, and offset trim. The interior of the helm features a foam liner, both for comfort and small size adjustments. An adjustable buckle strap secures the helmet at the chin.